New Society Publishers initially contacted me a few months ago and asked if I would be interested in reading a pre-publication galley for Heal Local: 20 Essential Herbs for Do-it-Yourself Home Healthcare , and if I liked it, write up a short blurb that could be used to promote the book. As soon as I saw the concept and the table of contents, I knew this was the book for which I’d been searching for years. Author Dawn Combs covers everything you need to know to start creating your own homegrown herbal medicine cabinet. She talks about growing herbs, as well as what to do with them after they’re grown, including the various methods of preparing herbs to use medicinally. Part three of the book has an alphabetical listing of twenty herbs that can be grown and used from boneset to yarrow. Within each herbal listing, there are tips on harvesting, which type of preparation works for what types of medical conditions, and even how you can use the herb in food. While it might seem obvious what to do with an herb like cayenne, not too many people are accustomed to eating chickweed. Part four is an alphabetical listing of first aid situations where herbs can be used, from asthma attacks to wounds. Finally, part five covers various body systems, such as respiratory, with information on conditions that may be chronic or acute. For example, under “allergies,” Dawn lists the various herbs that can be used and the best ways to use them. I especially appreciate the scope of the book. Focusing on only twenty herbs makes the task of creating your own homegrown apothecary seem possible. Even better, the author chose herbs that are useful with more than a hundred different medical conditions, meaning that when you are done reading it, you have a great deal of useful knowledge. 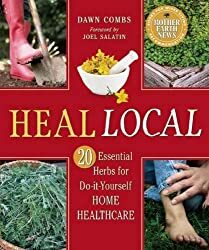 Heal Local is now in bookstores, but the nice people at New Society Publishers have agreed to give away a copy of the book to one of my readers in the U.S. or Canada. To enter the giveaway, just click on the appropriate links below. Be sure to use the same name when commenting as when you fill out the Rafflecopter entry so we can match them with each other. I would love to win this book. 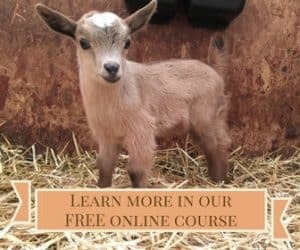 I have been searching for a how to use herbs book for myself and my animals (canine and feline). I believe the time has come to get back to basics for healing purposes and away from chemicals in our systems. This books seems to be everything rolled into one useful resource. Deborah in Atlanta, omahaflash@bellsouth.net. I don't have a blog but really enjoy reading yours. I forgot to mention that my favorite herb is thyme. erin at dairylicious dot net: This looks like a great book! We need more information about sourcing everything (food, herbs, everything!) local – it's better for the local economy and usually more sustainable. I can't wait to read this! My favorite herb is Rosemary….tho I love them all! 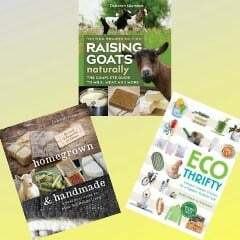 Looks like a great book aiding in growing as well as using the herbs! Thanks for the giveaway! Bunkie Weir. Our favorite herb is oregano. I think this book would be the next step to help our family continue to not just grow herbs but really use them to their full potential. I'm new to the world of herbs and it seems as though this book would be perfect – not nearly as overwhelming as some of the books out there! I really love basil as a culinary herb and I would love to find more uses for it! While fairly well-versed with culinary herbs, I've never had the opportunity to really dig in and learn more about the medicinal side of things- so I'm hoping that this may lead to a greater degree of knowledge as an introductory work on establishing an herbal medicine kit for myself and my family. Thanks for this opportunity. Favorite herb: anything lemon- thyme, verbena, balm – you name it. I am currently building up my medicinal herb garden and have some great healing herbs books. I was just thinking that I would like to find a book that lists the ailment and which herb to use rather than listing the herb first. This book sounds like it would be the one I need. I would love to learn more about herbs. My favorite is dill. The more we can grow to use ourselves the better. This book might be just the tool. I like chamomile tea to sooth my stomach, and my favorite herb for cooking is basil. My favorite herb is stinging nettle. I would like to learn more about the use and benefits of herbs. I'd love to learn more about healing herbs and how to use them. My favorite herb to cook with is basil.